The service you will develop in this guide will provide APIs for controlling a LIFX wi-fi enabled light bulb. This very service is used in the article describing how to integrate Amazon Alexa with an IoT device using Backendless. This article references IntelliJ IDEA as the IDE, however, it is not required, you can use any code editor. Make sure to create a Backendless account and create an app in Backendless Cloud (the free tier or the trial option will be plenty to proceed). How to create a Codeless API Service responsible for handling Amazon Alexa requests. The service completely removes the need for adding AWS Lambda functions, it also runs without any cost in the free plan of Backendless. How to use the Backendless SDK for Alexa to send a response back to Alexa from a custom skill. How to create a basic Alexa Skill and test it from the Amazon developer console. How to invoke the skill on Alexa, process the invocation in your Codeless Backendless API service and get a response back on Alexa. Processing slots in the Codeless API service in Backendless. Executing codeless logic to do something useful and generate a meaningful response. It is recommended (more like required) to go through Part 1 just so you have the basic environment setup. Also, make sure to watch the “Developing an Alexa Skill without any coding” video which shows the entire process in action. Backendless Pro, the standalone version of Backendless, is now officially released and is available for download. The new release includes the latest version of the Backendless Platform. Version 4, which was originally launched only for the Backendless Cloud product is a major improvement over the previous version. 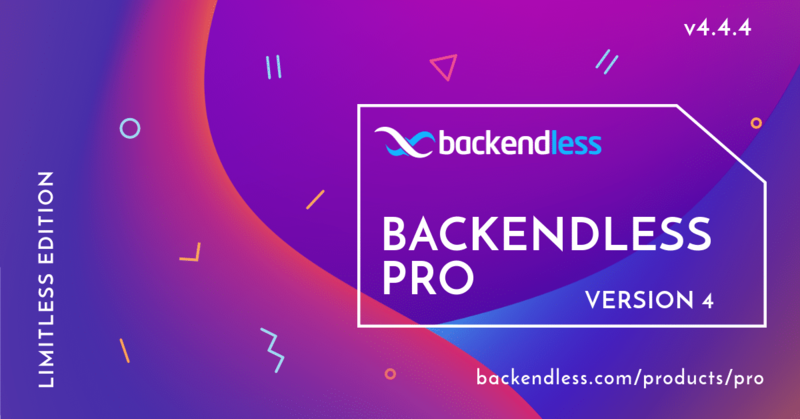 The new Backendless Pro includes a free trial mode. See the Backendless Pro product page for details.